While constitutional considerations carry great weight, they miss the heart of this case. American Legion does not so much implicate the Establishment Clause or the Lemon test as it implicates American civil religion. The questions argued in the case, therefore, can be nicely distilled to one: Is the cross civil or sectarian? Let’s first take a crash course on civil religion in America, as pioneered by sociologist Robert Bellah. From Bellah’s system, we get five main components: god talk; founders and documents; the book of Exodus; death, sacrifice, and rebirth; and the ritual calendar. These parts, in turn, form an “elaborate,” “well-institutionalized,” and “[non]-sectarian public religion.” But these parts — and by extension civil religion itself — are fluid, frequently changing in the direction of our nation’s socio-cultural evolutions. But we know that pluralism haunts these traditionally non-establishment yet undeniably sectarian statues and figures like some “ghoul in a late-night horror movie.” (I know the prior quote is about the Lemon test, but, c’mon!— it’s too fun not to use Justice Scalia’s sardonic analogies.) In last month’s argument, Justice Kagan struck at the core of the ever-growing influence of pluralism on our civil conceptions. “What would happen if all the facts that you gave were the same, except for the 93 years?” she asked. What would happen, as she knows, is the city council would never approve such a gaudy cross or any cross at all. If they did so, it would undoubtedly be an Establishment issue. After all, “religious ethnocentrism declined significantly during the century,” meaning our religious displays must now include space for our nation’s 3.5 million Muslims, 20 million atheists, … etc. But Deputy Solicitor General Wall disagrees, arguing instead that the “nation’s long tradition of accommodating religious speech or symbols in civic life” overcomes the Peace Cross’s Establishment problem. 1. 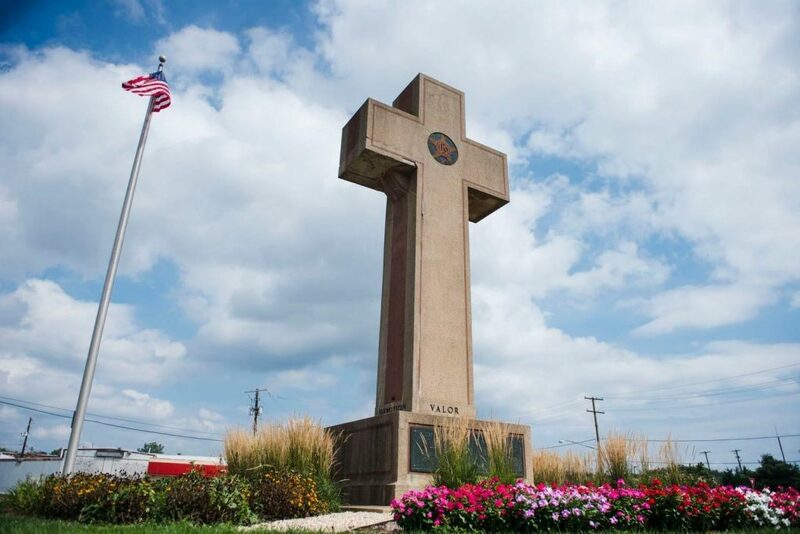 A divided court rules that this cross is secular because of its age and commemorative purpose. 2. 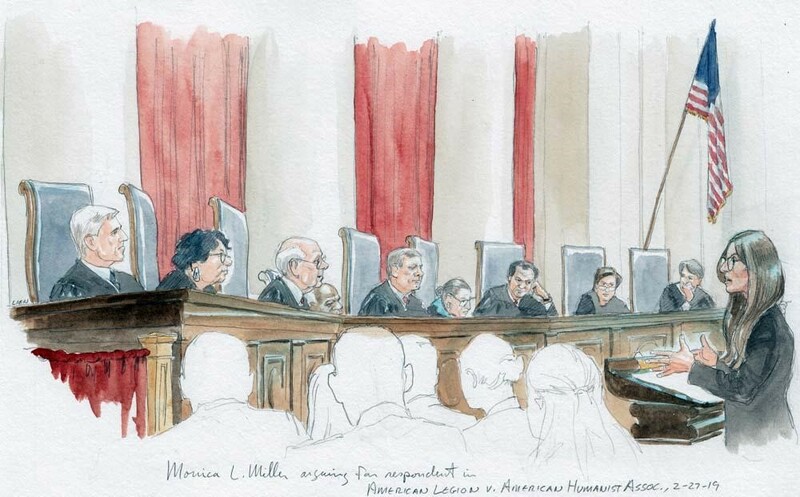 The court rules in favor of the American Humanist Association, exposing themselves and their lower-court colleagues to an inundation of Establishment cases. This result is unlikely, with the new conservative tilt of the court contributing largely to this unlikeliness. However, a ruling for the Humanist Association would re-solidify the Lemon test as the standard par excellence for passive displays of religious iconography. This entry was posted in Faculty Blog, Relevance of Humanities, Religion in Culture, Student Blog and tagged Church and State, Classification, Court, Critical Thinking, cross, guest blog, High School SCOTUS, Jackson Foster, Law, Mike Altman, Politics, Politics of Religious Freedom, Religion, Religion in Culture, religion in politics, Religious Studies, student blog, U.S. Supreme Court, US Politics by Morgan Frick. Bookmark the permalink.